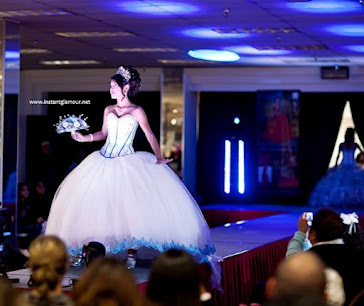 What do you think of this Bonny Quinceanera dress? I love the patterns and the color! This is the perfect dress for a smaller girl with a pretty face. The cut accentuates a girl's face and her lustrous hair. This 15 dress definitely gives a girl a sense of confidence as it represents both tradition and modernity at the same time. Instead of having the focus on the dress, the focus leads up to a girl's face. My kind of quince dress!